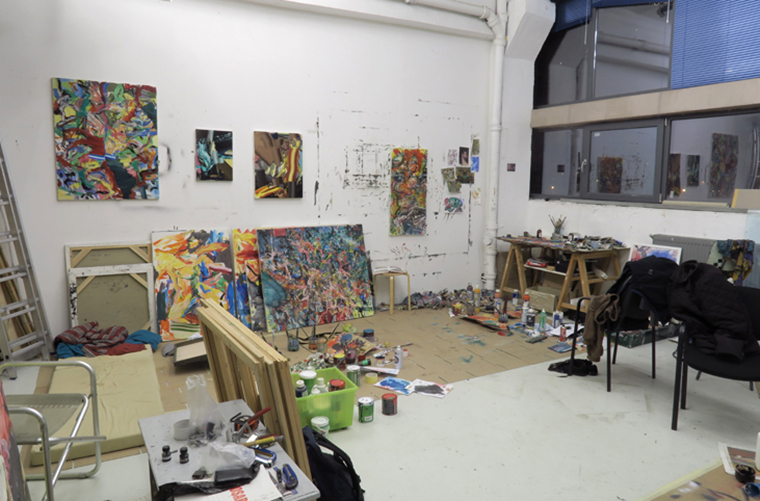 Studio is the artistic residencies space and programme. The invited residents are graduates of the Romanian art universities, who need support and space at the outset of their career. They are actively involved in the public programme of the gallery and have the chance to present their work to curators, gallerists and collectors who visit the gallery. The studio also hosts international established artists interested in spending time in Cluj and learning about the local art scene. Occasionally they exhibit new and existing work in solo shows at SPAȚIU INTACT.